The new study, which detected bacteria from humans in the genus Salmonella and Campylobacter in Antarctic and Subantarctic marine birds, reveals the fragility of polar ecosystems and warns about the risk of massive deaths and extinctions of local fauna populations due pathogens. Explorers, whalers, scientists -and lately, tourists-, are examples of human collectives that moved to the furthest regions of the planet. Some studies have claimed for years that there had been cases of reverse zoonosis, that is, infections humans give to other living beings. 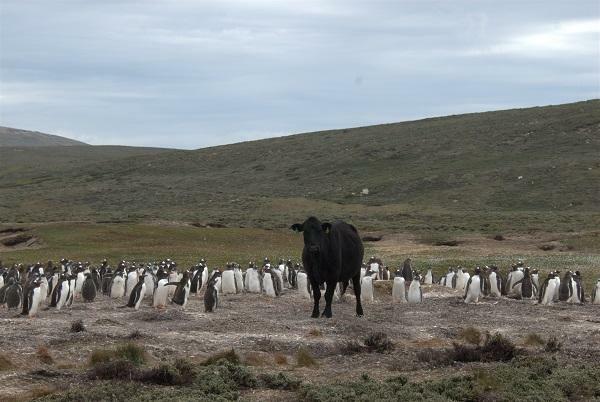 Despite some previous signs, scientific studies on zoonotic agents in the Antarctic and Subantarctic areas have been fragmented. Therefore, evidence is spread and not completely convincing in this field. The new study, published in the journal Science of the Total Environment, studies the potential transmission of bacteria from humans to marine bird populations in four areas of the Antarctic and Subantarctic ecosystems. “Chronology and potential pathways for reverse zoonosis in these ecosystems are complex and difficult to study, but it seems they can be clearly related to the proximity of the fauna to inhabited areas and the presence of research stations”, says Professor Jacob González-Solís, from the Department of Evolutionary Biology, Ecology and Environmental Sciences of the UB and IRBio. The study confirms the first evidence of reverse zoonosis related to the presence of human-origin bacteria Salmonella and Campylobacter in polar fauna. One of the warning signs was, in particular, the identification of Campylobacter strains, which are resistant to ciprofloxacin and enrofloxacin (common antibiotics in medicine and veterinary). “Finding common Campylobacter genotypes in human species or livestock was the definite hint to prove that humans can be introducing pathogens in these regions”, says Marta Cerdà-Cuéllar, researcher at the IRTA-CReSA. “These Salmonella and Campylobacter strains, which are a common cause for infections in humans and livestock, do not usually cause death outbreaks in wild animals. However, the emerging or invasive pathogens that arrive to highly sensitive populations -such as the Antarctic and Subantarctic fauna- could have severe consequences and cause the local collapse and extinction of some populations”. The study shows the risk of reverse zoonosis is higher in areas that are closer to inhabited areas, such as the Flakland Islands, and probably the Tristan da Cunha archipelago. In this situation, the biological connectivity between Antarctic and Subantarctic communities through marine birds is a factor that would speed up the circulation of zoonotic agents among the ecosystems from different latitudes. “This could be the case, for instance, of the Subantarctic parasite Stercorarius antarcticus: a scavenger marine bird could get the pathogen and spread it from Subantarctic latitudes to the Antarctica”, says González-Solís. The Antarctic Treaty protocol on Environmental Protection sets a series of principles that can be applied to human activity in Antarctica to reduce the human footprint in the white continent. However, some Subantarctic areas -which are also the habitat of birds such as the brown skua or the giant petrel- are not protected by the protecting regulation and could become the entrance for pathogen agents in polar ecosystems. “Our results show it is easier for humans to introduce pathogen agents in the pristine areas in the Antarctica. As a result, pathogens entering the furthest ecosystems in the Southern Hemisphere could be a serious threat for the future of wildlife. Therefore, it is essential to adopt biosecurity measures to limit the human impacts in the Antarctica”, notes Jacob González-Solís.